She is one of the A' list actresses in Nigeria and one of the pioneers of Nollywood. Biography,Daughter,Age,Movies,Husband,Family, Movies and every thing you never knew about her. 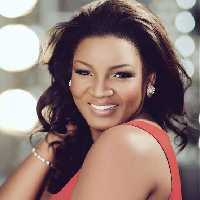 1.Omotola is also popularly known as Omo s*xy. 2. She was born on the 7th day of February 1978. 3. She was born in Lagos State Nigeria. 4. Omotola was born to the family of Mr Oluwashola and Mrs Oluwatoyin Jalade, both from Ondo State, Nigeria. 5. She attended her primary school at Chrisland School, Opebi. 6. Her secondary school education was at Command Secondary School,Kaduna. 8. Omotola wanted to be an established business woman before she entered into the world of acting. 9. Omotola tried to become a model during the period when she was waiting for admission before she accidentally stumbled into acting.She actually accompanied her friend to an audition before she then decided to audition for the movie. 10. Movie Director, Reginald Ebere gave Omotola her first leading role by giving her the lead role in the movie titled 'Mortal Inheritance'. 11. Apart from acting in English,she can also act yoruba movies. 2014 MTV Africa Music Awards (Personality of the year nominee). 2013 Movie and Screen Awards (MVISA) Birmingham. 13. Omotola has a traditional chieftaincy titlein her hometown of Ondo State. The title was bestowed on her by the King of her home town,his name is Oba Victor Kiladejo. 14. Omotola is also a singer as well. 15. She currently has two albums. 17. She is the first African Celebrity to receive over 1 million likes on her Facebook page. 18. She currently has a total of 3 million followers on Facebook,making her the highest followed celebrity on facebook. 19. Omotola has starred in over 300 movies. 20. Omotola is currently 39 years old. 21. Omotola is married to Capt. Matthew Ekeinde, a pilot,she got married in 1996,she has four children namely:Princess Ekeinde,M.J Ekeinde,Meraiah Ekeinde,Michael Ekeinde. 23. In 2013, she was honored in Time magazine's list of the 100 most influential people in the world alongside Michelle Obama, Beyoncé and Kate Middleton. 24. In 2014, she was honored by the Nigerian government as a Member of the Order of the Federal Republic, MFR for her efforts and contributions to Nigerian cinema and Nollywood. 25. Omotola in 2003, made her US television debut in VH1's scripted series, 'Hit the Floor'. 26.Omotola's ever first acting role was in the 1995 movie Venom of Justice. 27. She has bagged over 40 domestic and international awards. 28. Omotola is considered Africa's biggest box office actress. 29. In 2015, Omotola celebrated her 20th anniversary in the entertainment industry.